I’m looking for a SPECIFIC skin you have it but it’s locked and you only let us choose like 3 skins! DUMB! So there are ads and really cute skins but some of the scans you have to buy so I don’t really like that I found a really cute scan I wanted but then I looked at it and it had to be money so if you guys could cancel that that be great besides that love the app!!!!!! These skins do not work. I paid to unlock all skins and remove ads but it doesn’t unlock them. My bank was charged. I emailed the developer and no response. DO NOT GET!!! I’m disappointed! It didn’t work! 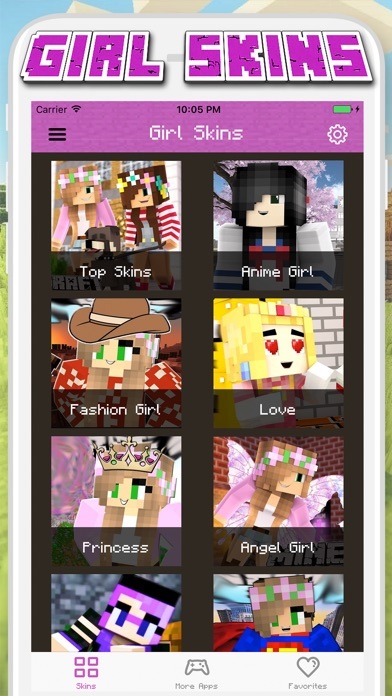 When I pressed chose skin, I pressed the picture and said chose the right model or something!! After downloading the game I tried to put the new skin on but it didn't work and then after countless tries it worked but when I tried to actually play my world it send the skin wasn't working and u wouldn't be able to play then later on my phone started to glitch out and just found out someone's been stealing my information. I suggest you dont download this game! Please fix this! 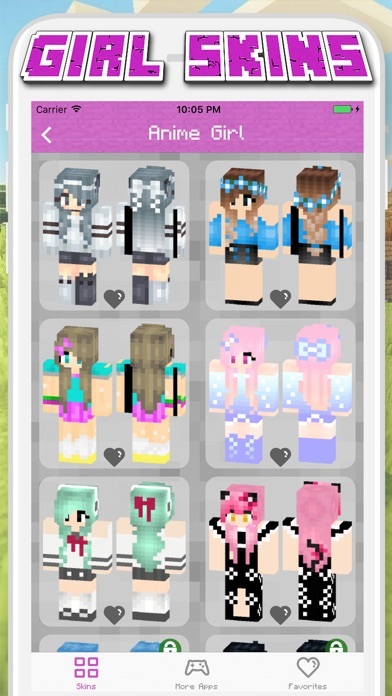 So I just got Minecraft and I wanted to get these skins instead of using the Minecraft default ones. 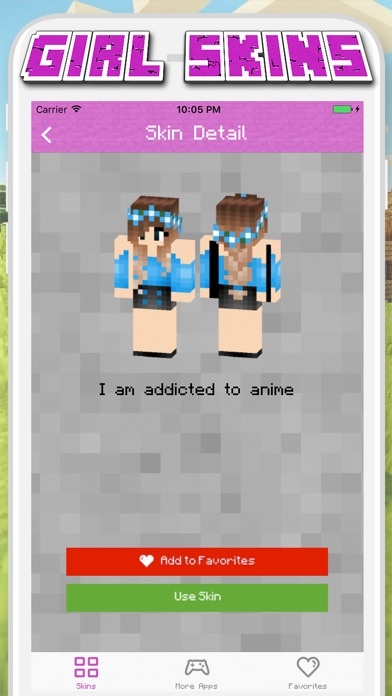 So I go on the app, download the skin I wanted to use. Seems good so far, right? Well... 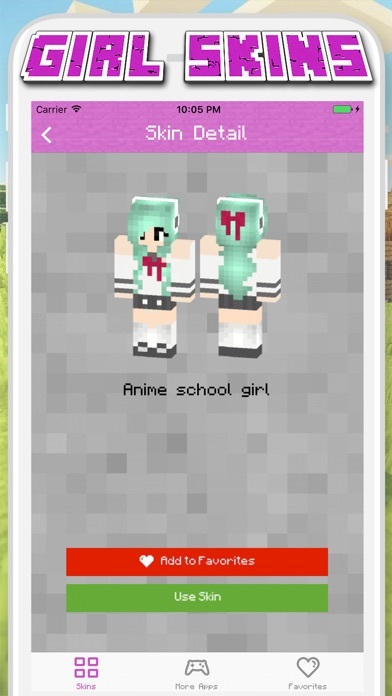 IT SAYS ON MINECRAFT YOU NEED TO USE THE CORRECT MODEL!!! I downloaded it and it still said not the correct model. I hate this game!